Product Description: This lovely mermaid statue features the most realistic detail. She sits atop a faux rock hugging in her tail. 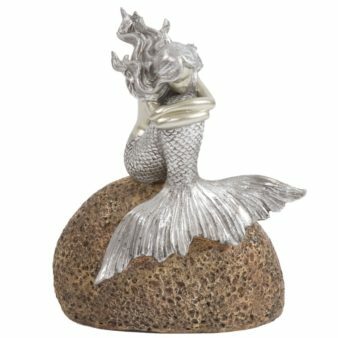 The rock is finished in a realistic earth color while the mermaid is finished in a bright silver with black highlights. The base features padding so as not to damage your surfaces. 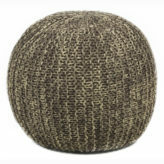 This piece is a perfect accent piece for console tables, book shelves, entryways or any room in your home.